Half-century old warplanes have been tested on Islamic State targets, as the military determines whether they should become a permanent addition to their arsenal for fighting insurgencies. Proponents say the Vietnam-era jets do more for less. 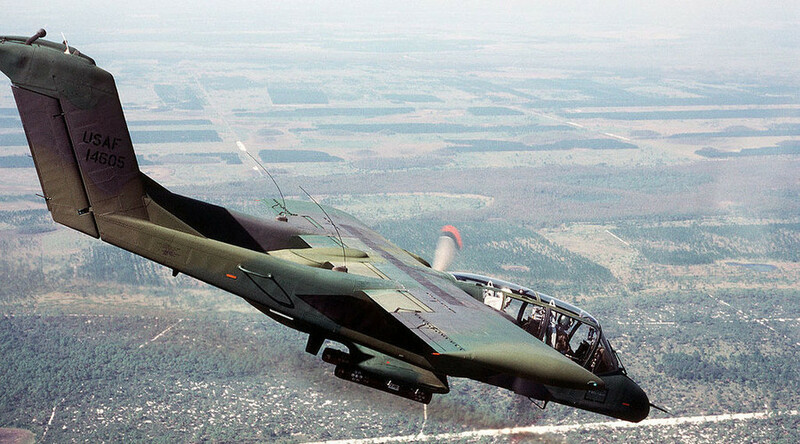 The OV-10 Bronco turbo-propeller plane, first flown in 1965, is one of the “light turbo-prop aircraft” being considered for counterinsurgency operations, a US Central Command representative told CNN. — RT America (@RT_America) 12 марта 2016 г.
Captain Bryant Davis, a spokesman for US Central Command, said one naval aviator and one flight officer make up the entire crew, adding that the OV-10 had conducted 120 combat missions during its try-out period. What makes the OV-10 attractive is not its speed, but lack thereof. Faster planes like the F-15 or F-35 travel much faster, but the OV-10’s cruising speed of 223 mph is better suited for supporting ground troops, especially when the enemy doesn’t have advanced anti-aircraft weaponry. The State Department has previously used the plane in drug war missions, according to The OV-10 Bronco Association. Not only would the OV-10 allow pilots to fly lower and see the target area better, it would also save the military some money. An F-35, part of the most expensive US military weapons program in history, costs about $150 million, and to fly one for just an hour could cost around $45,000, retired naval aviator Commander Chris Harmer told CNN. An OV-10 flight is estimated to cost under $5,000. — RT America (@RT_America) 26 февраля 2016 г.
Davis said that the results of the experimental flights have been passed on to the Office of the Secretary of Defense Joint Requirements Oversight Council.